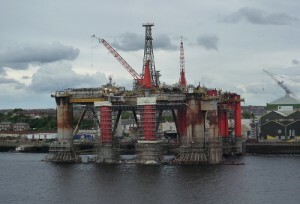 Norway's oil industry will need an estimated 220,000 workers by 2014, most of them from abroad. Norway’s oil and gas industry will need 220,000 new workers in the next three years to help meet rising demand, according to a story in the Nordic Labour Journal. The majority of these workers are expected to come from abroad. As such, the Oslo Chamber of Commerce, Norwegian Business School (NBI) and intercultural consulting firm Kulturtolk will organize a global mobility conference to discuss the best ways to recruit foreign workers, as well as attract expat families to life in Norway. The conference will take place November 2nd. Speakers are to include Rikke Lind from the Trade Ministry, Paul Chaffe of Abelia and Jie Zhang of Huawei Technologies Norway. To influence government policy in favor of businesses working to attract international talent. To create an annual meeting place in the Nordic countries for knowledge sharing at networking. To promote Norway and other Scandinavian countries as destinations for expat workers and their families.